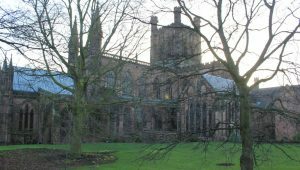 Discussing climate change, planetary health and personal health with students from Liverpool schools at St Asaph Cathedral. 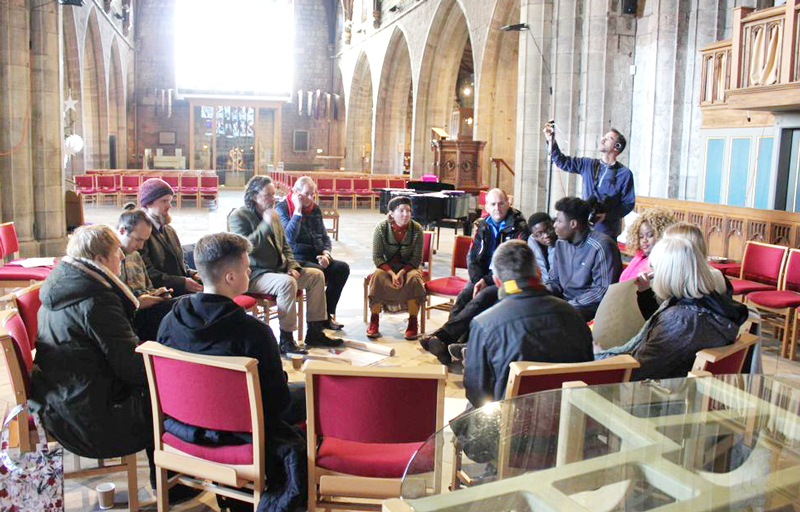 Sector39 have been working with Chester Cathedral for over a year now exploring how the church can embrace permaculture and how it can effectively communicate a stronger, more positive and more challenging message on environmental responsibility. 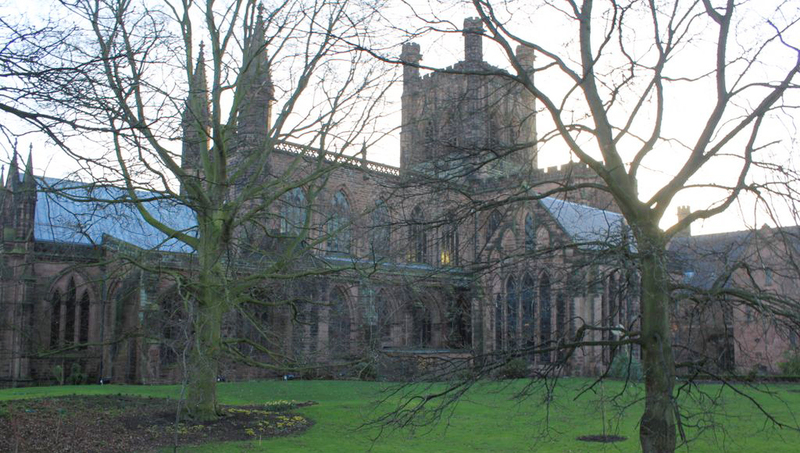 This school work with St Asaph is an interesting development from our work with Chester Cathedral. Students here learned how their personal health and ambitions are closely linked to that of our planet and environment, looking at issues like diet, nutrition, personal responsibility and actions. We made some great connections and hope to be invited to Liverpool to work more with the schools concerned. OSOP is keen to work with any partners who want to bring the challenge of facing up to climate change, pollution, waste and other issues in schools and other learning environments. interesting things I learned about St Asaph. It si Britain’s second smallest city.. which begs the question of which is the smallest.. St Davids being the answer. With Dr Jack Hunter in the car for the journey we also learned a lot about Welsh folk-lore and tales from the Mabinogion.. fascinating stuff. There is something about the Welsh reverence for landscape, history and story that reveals a different and fascinating way of thinking. This profound connection to landscape and its character might help us think differently in a way that we are required to, that in some way might help us escape the ecological disaster we have unleashed on our selves and our planet. What stories will they tell in future times of the times we are experiencing now? There is collective denial of our current reality and the obvious consequences of our actions, a collective forgetting if you will. In an oral and ancient culture like Welsh the stories are kep alive by repetition and recital, where as once written down stories tend to be forgotten and no longer alive. We in our modern busy culture seem to have forgotten our roots and our sense of past and with that we are abandoning our future. 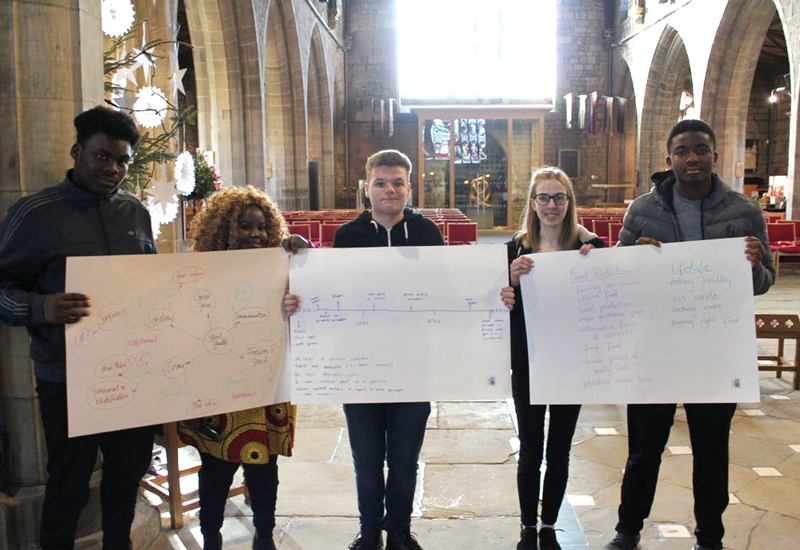 The collaborative work we are doing with the Church is making us think differently about belief, culture and the important things we share in common that bind us together. Permaculture to me is a consensus building tool, it is one level about using observations of the natural world to build a common persepctive on how we might respond to the challenges of our day, working with these diverse groups of people is hugely interesting and rewarding and is helping us develop and evolve our ideas on these subject areas.